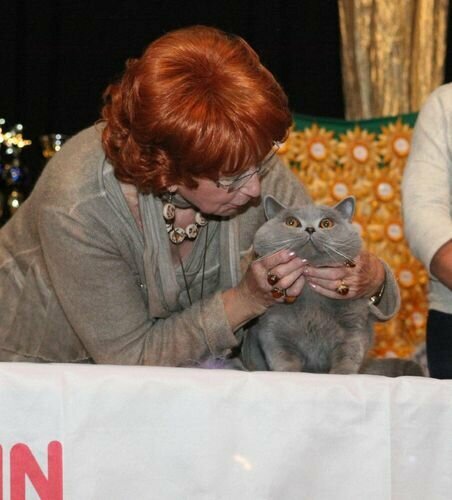 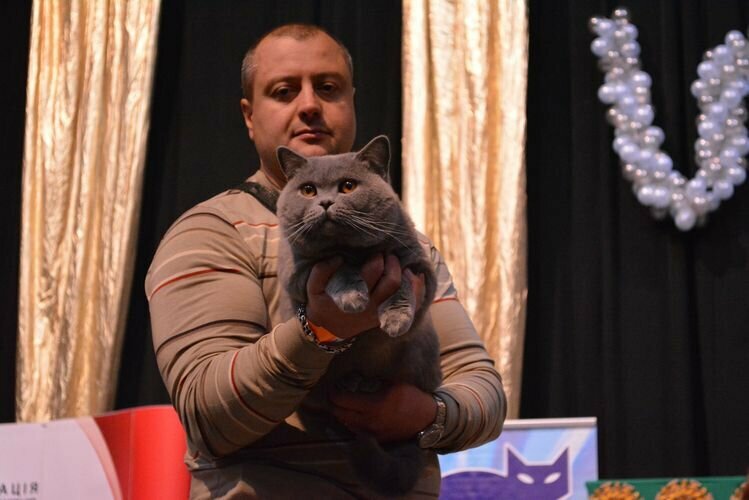 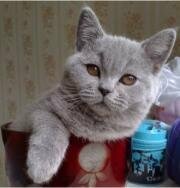 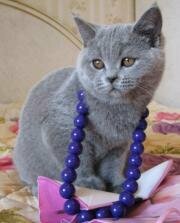 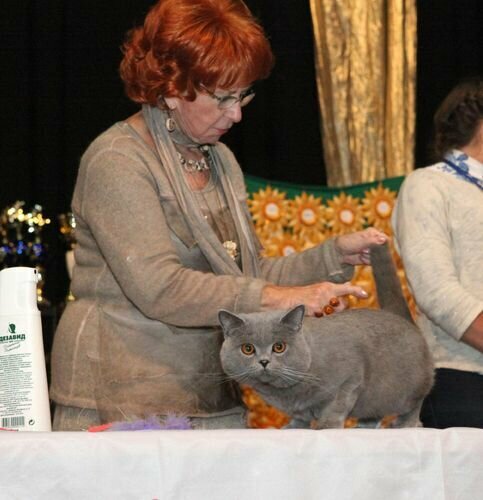 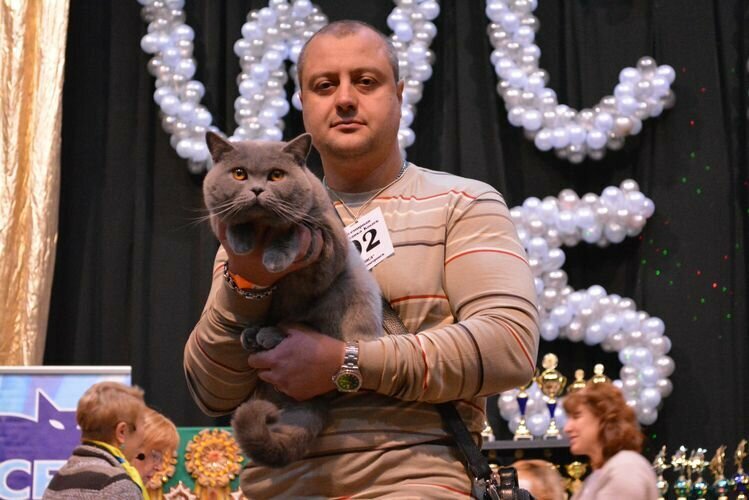 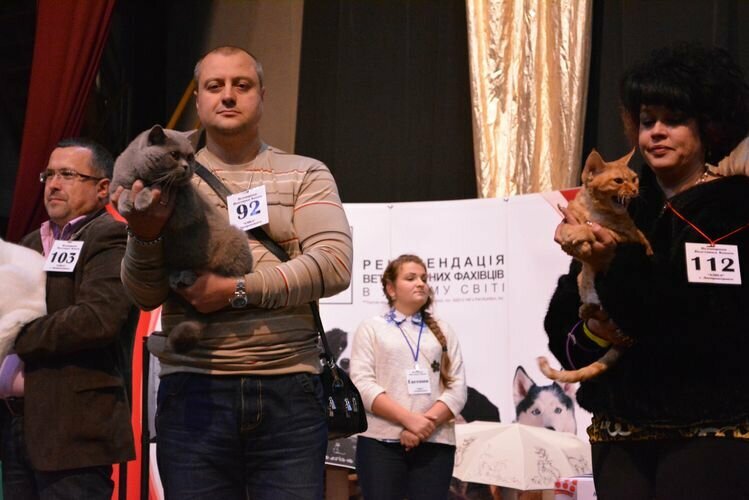 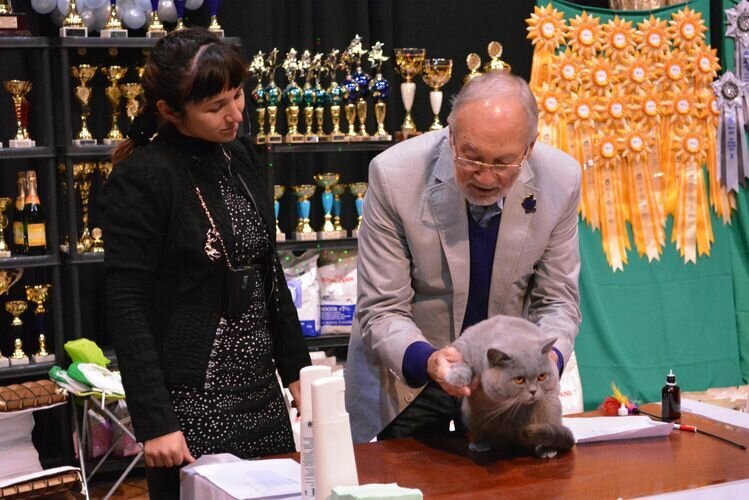 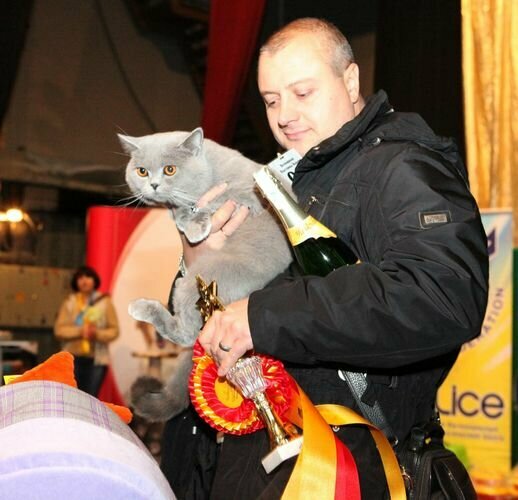 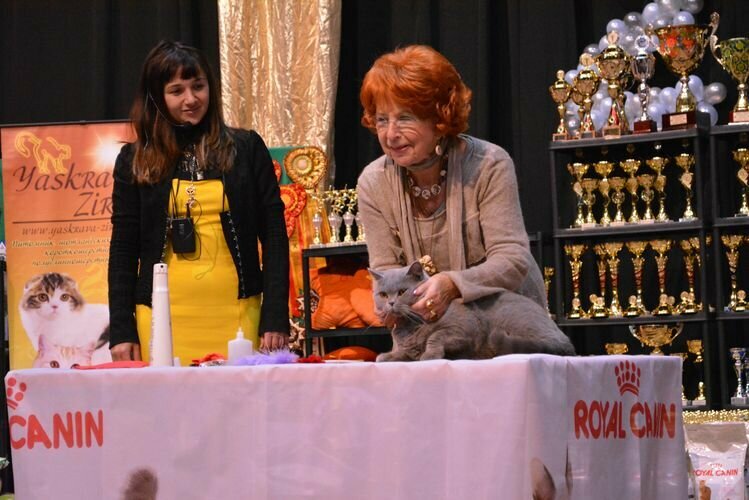 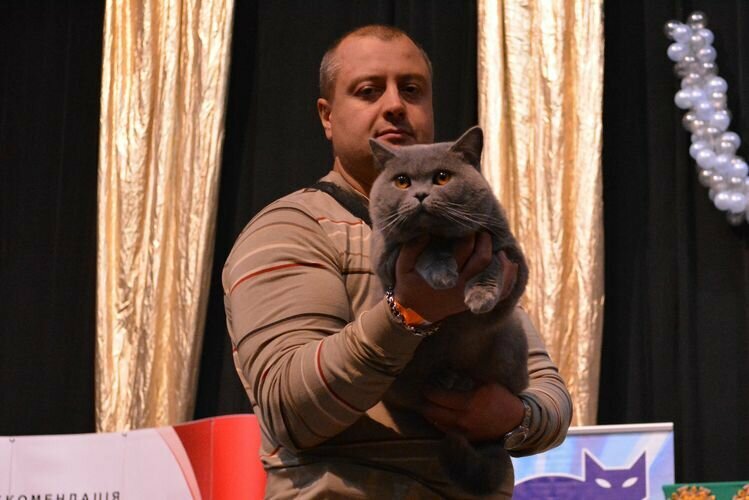 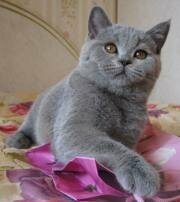 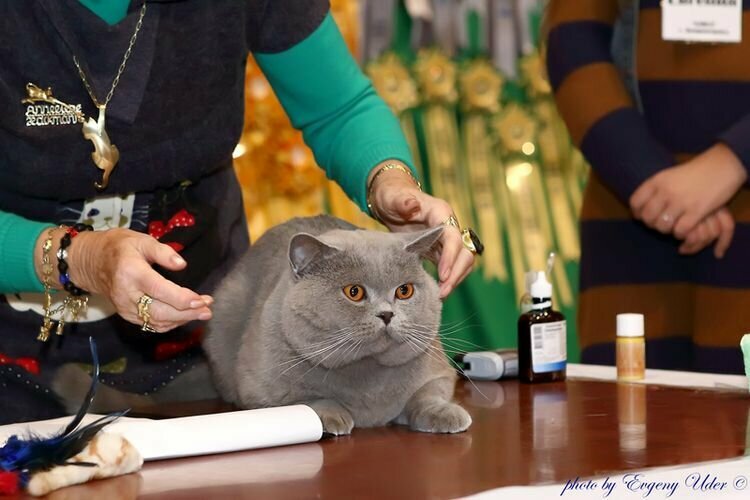 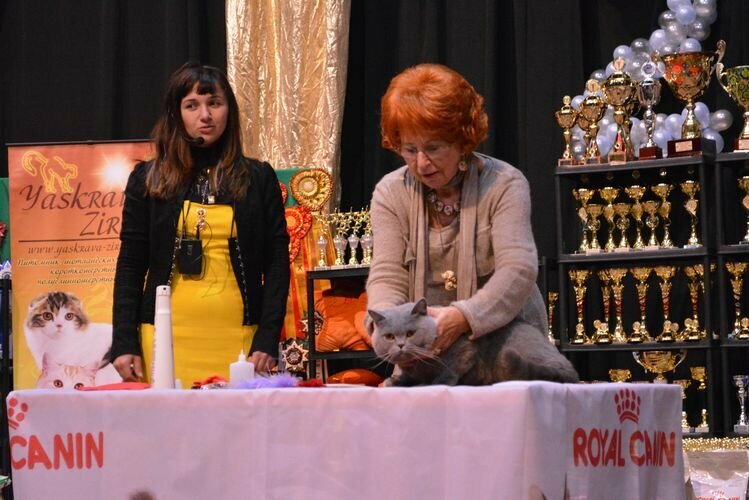 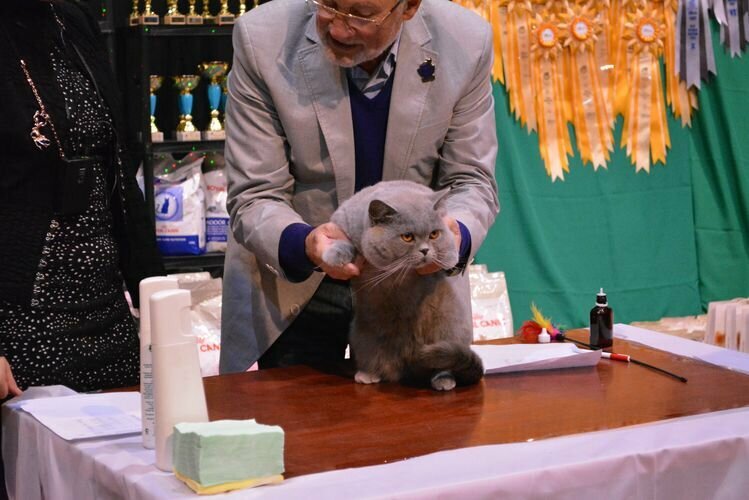 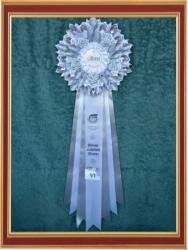 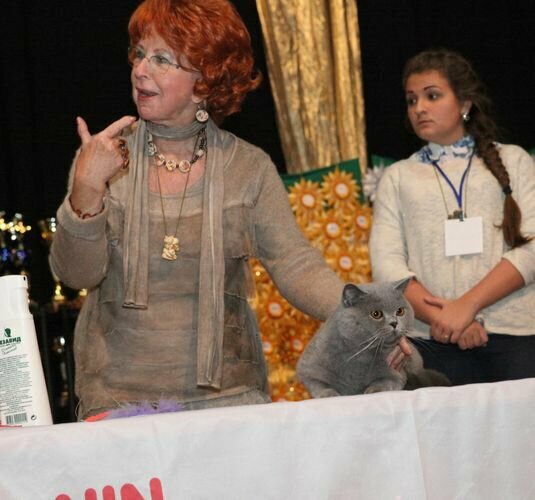 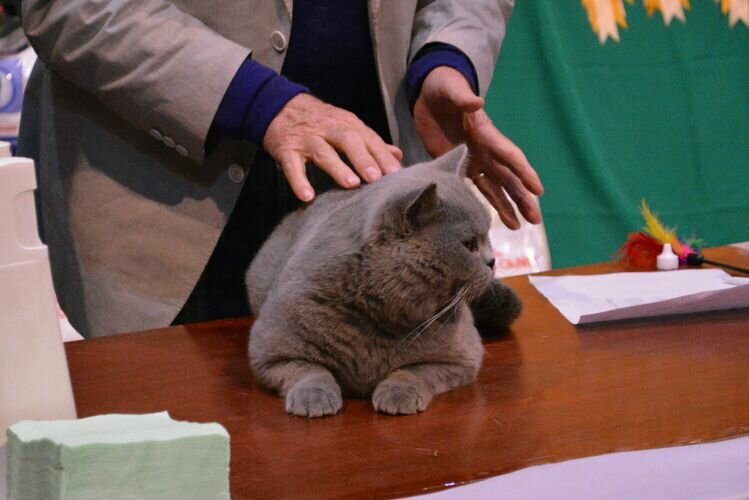 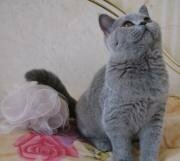 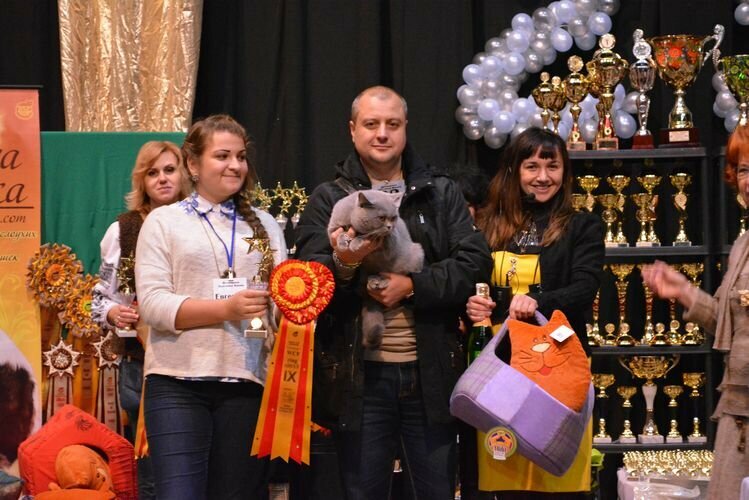 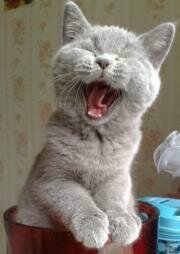 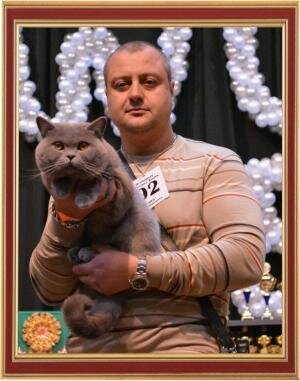 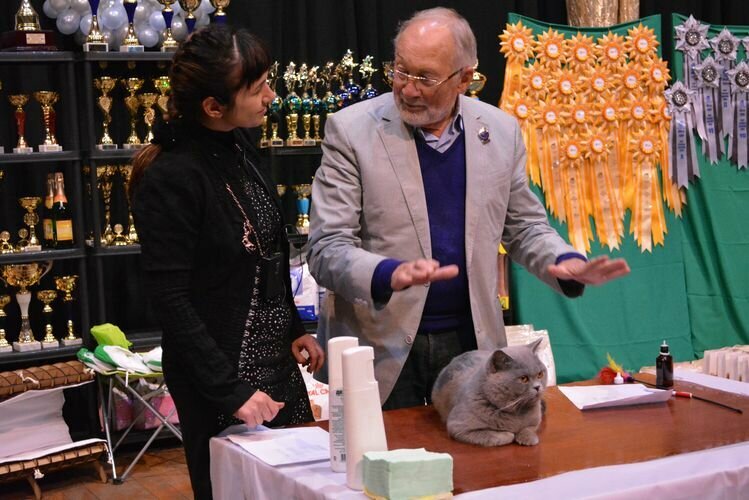 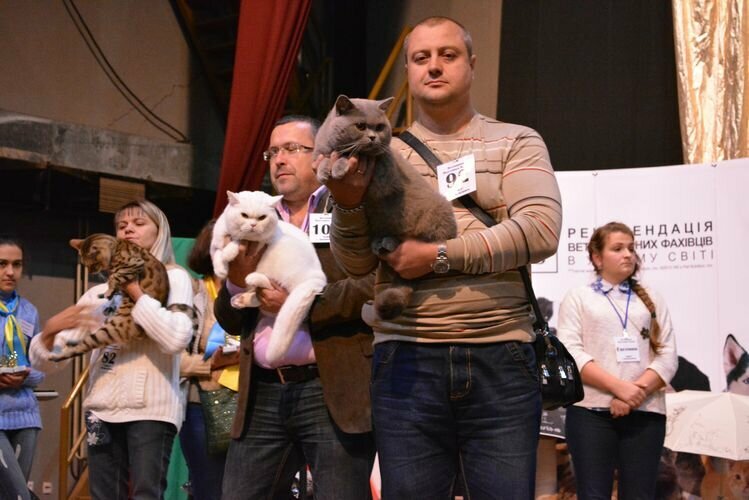 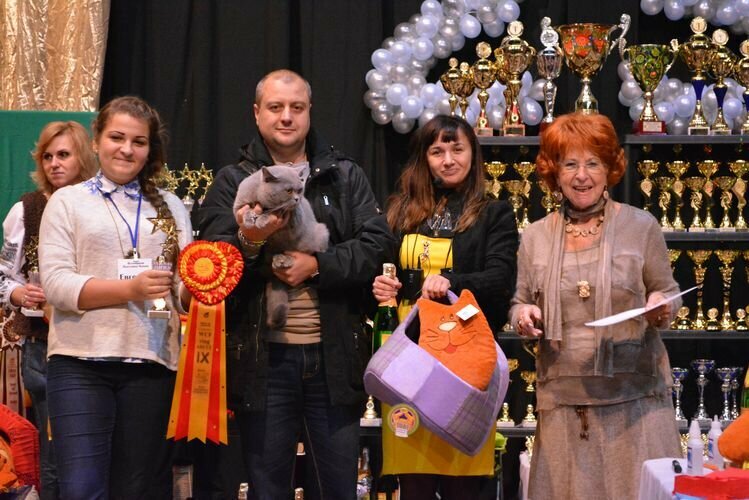 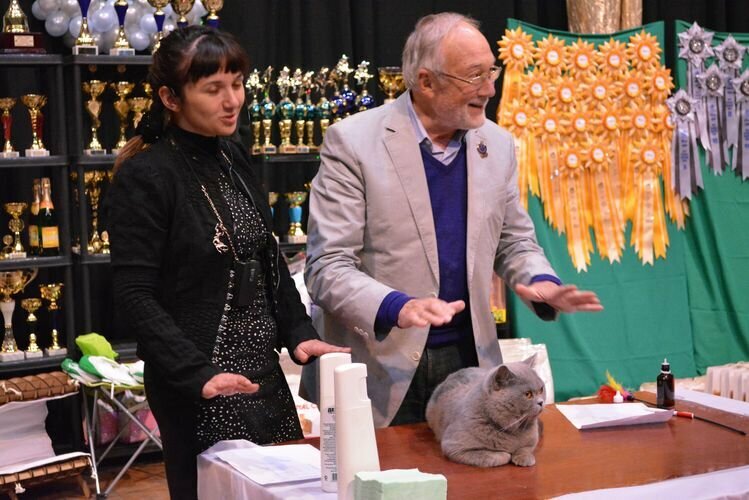 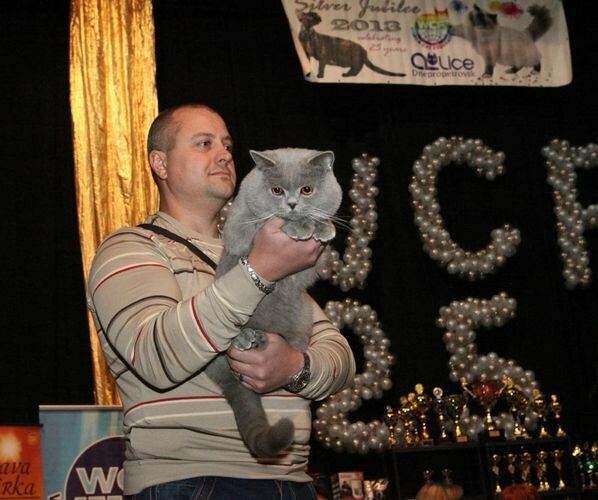 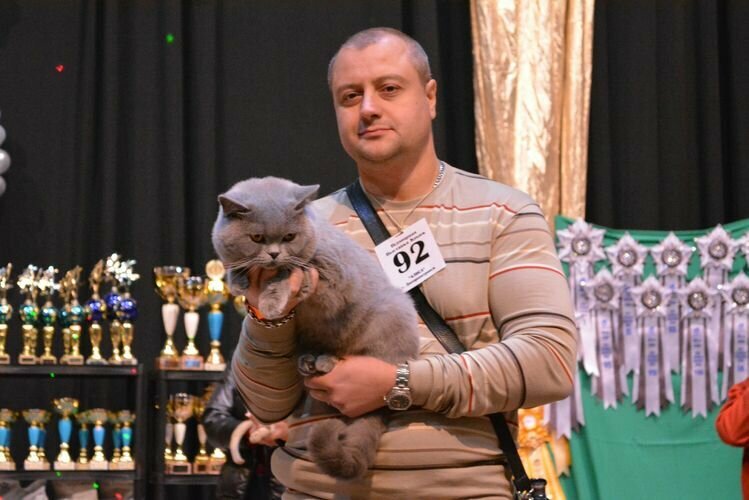 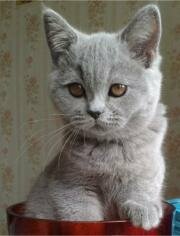 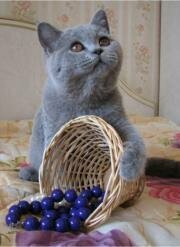 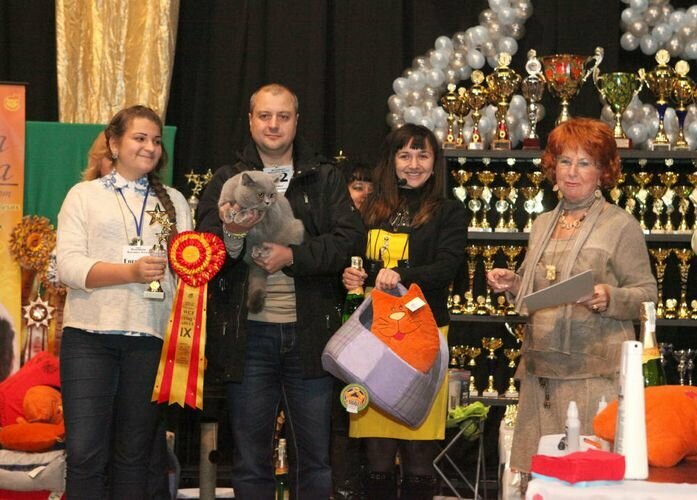 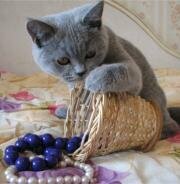 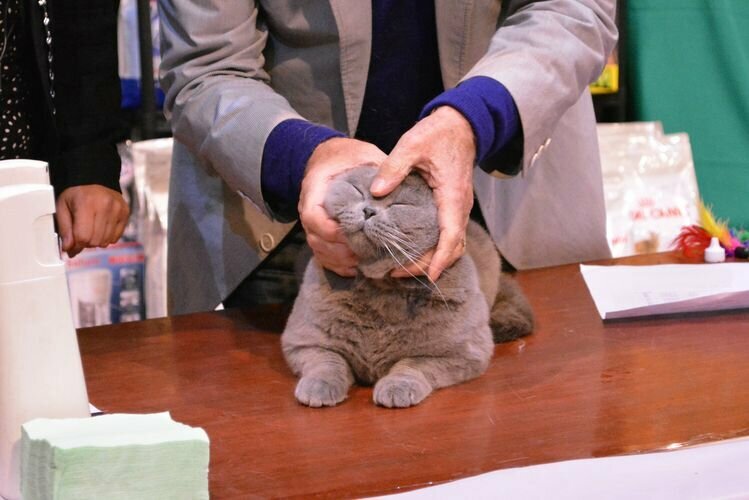 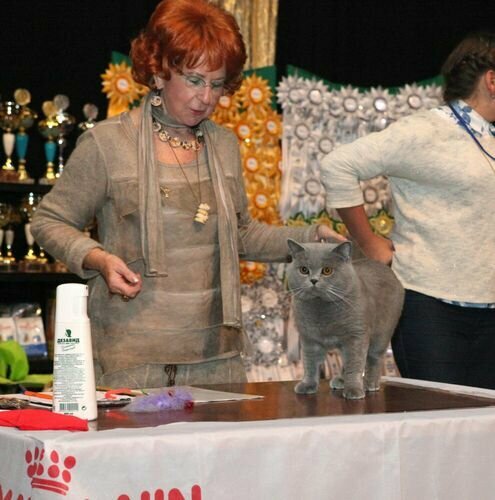 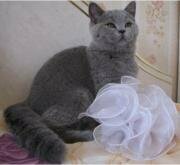 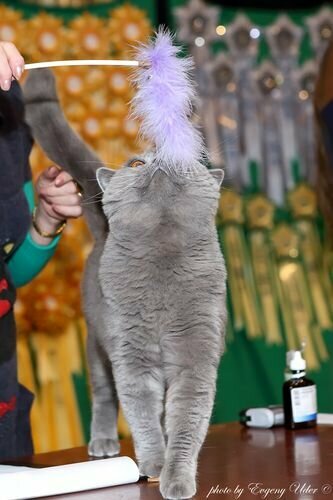 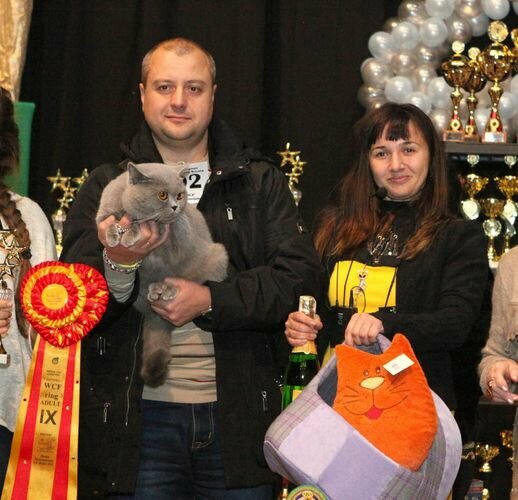 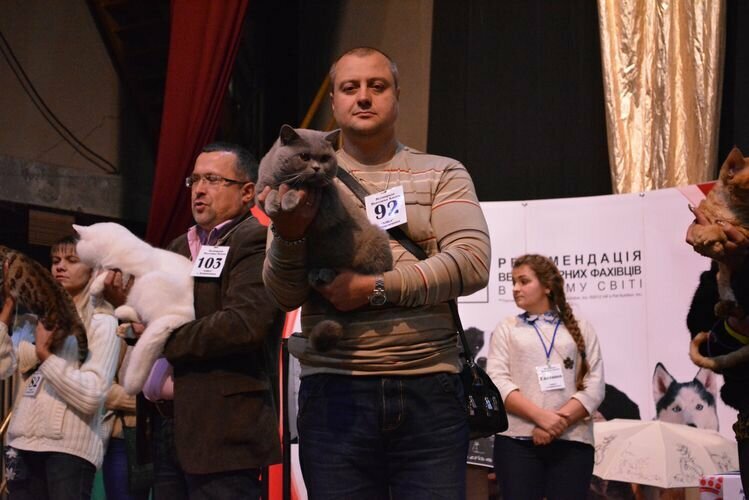 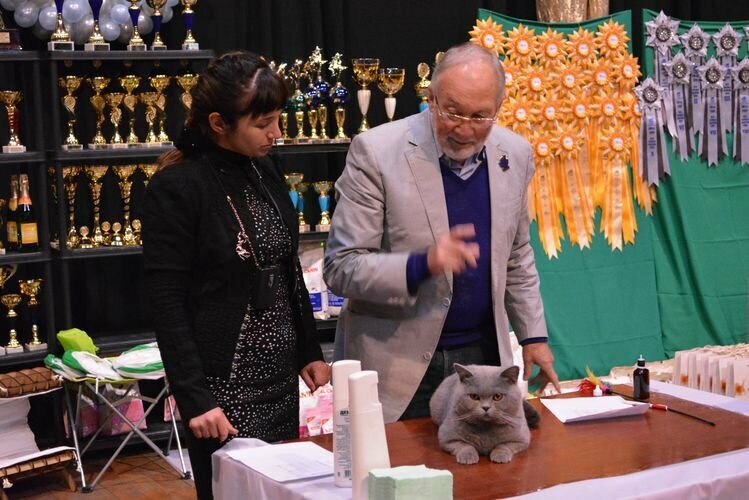 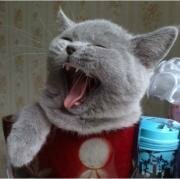 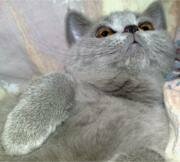 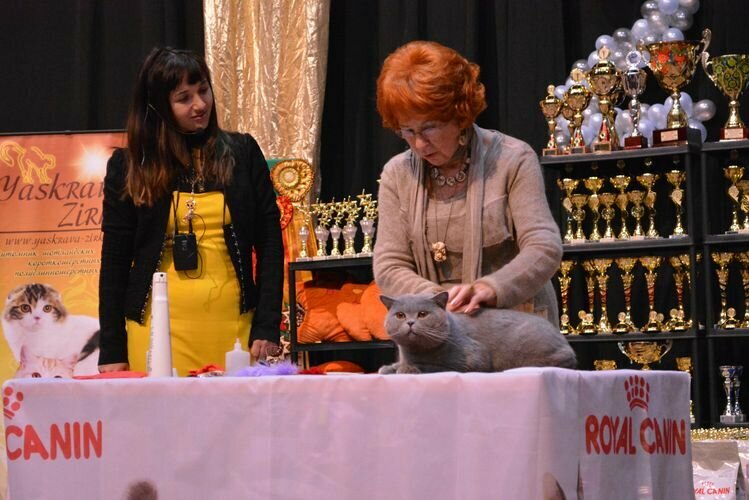 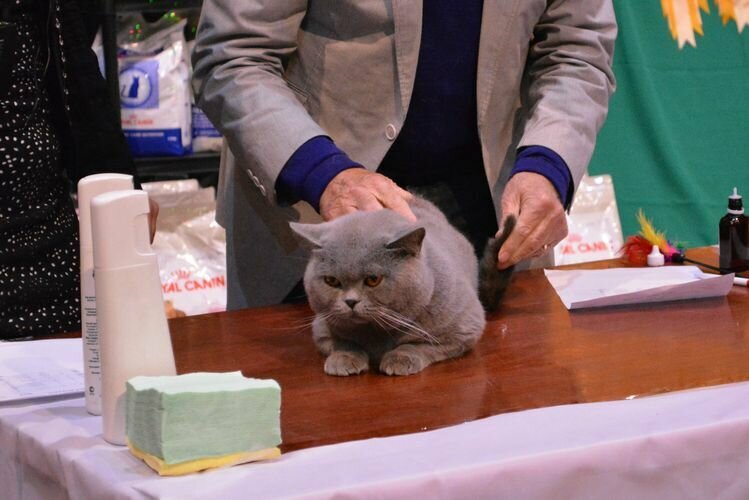 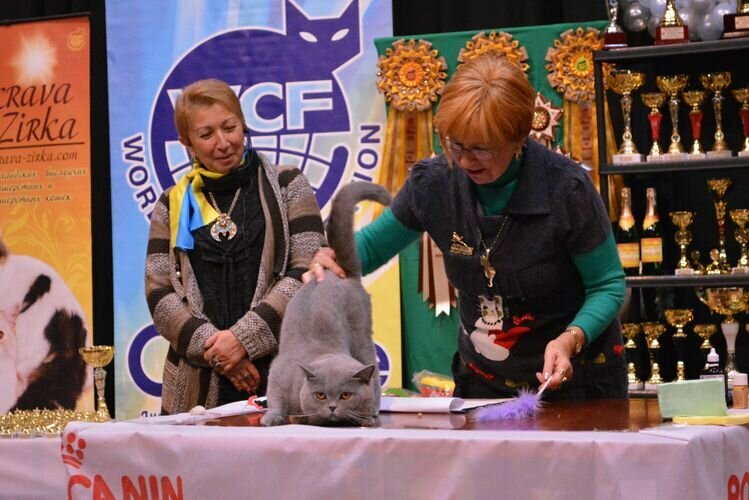 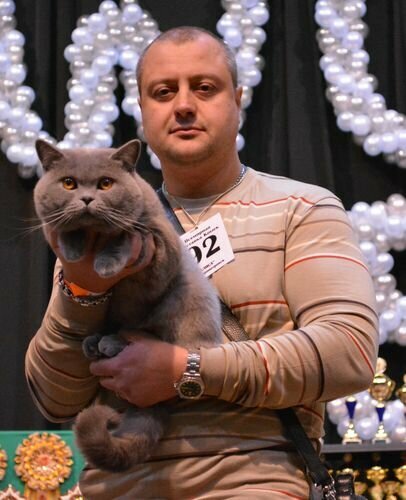 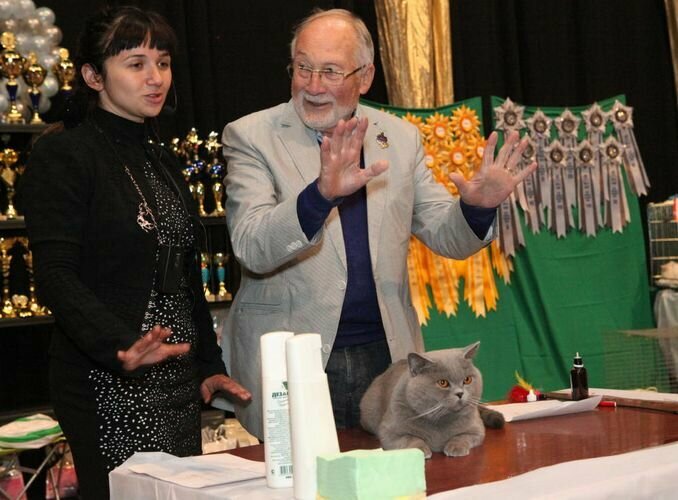 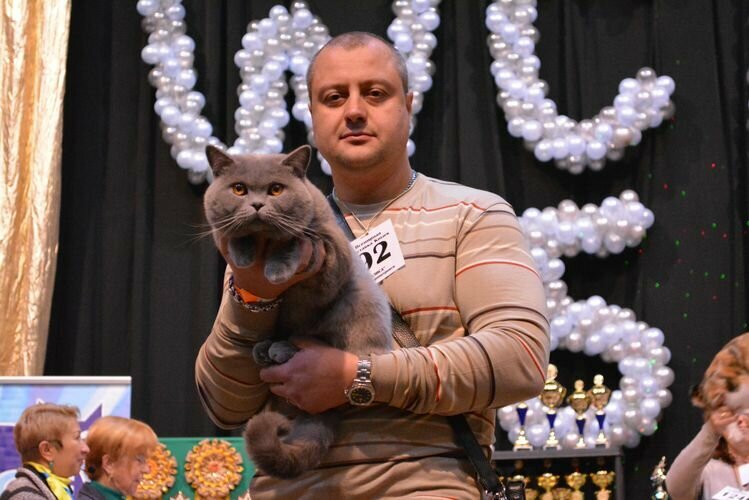 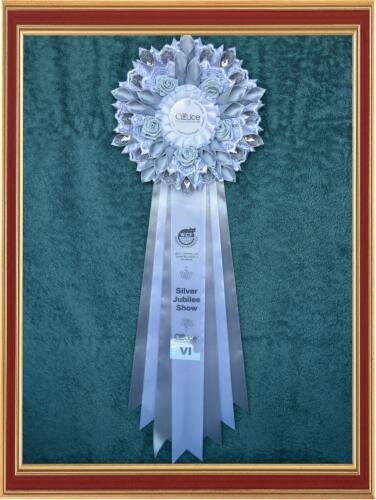 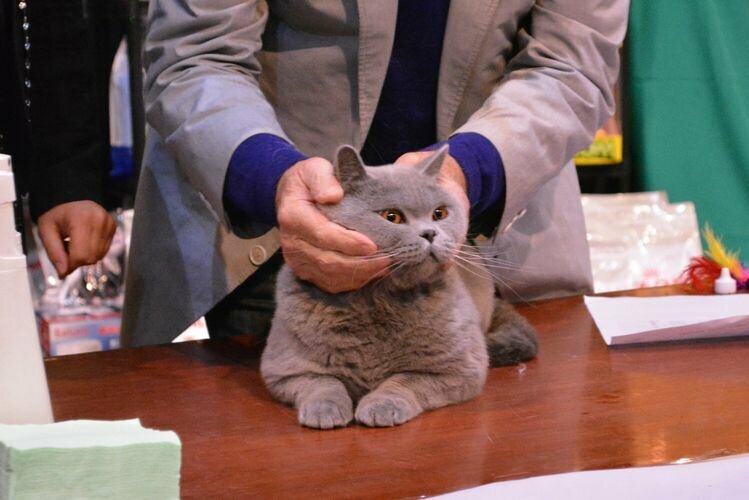 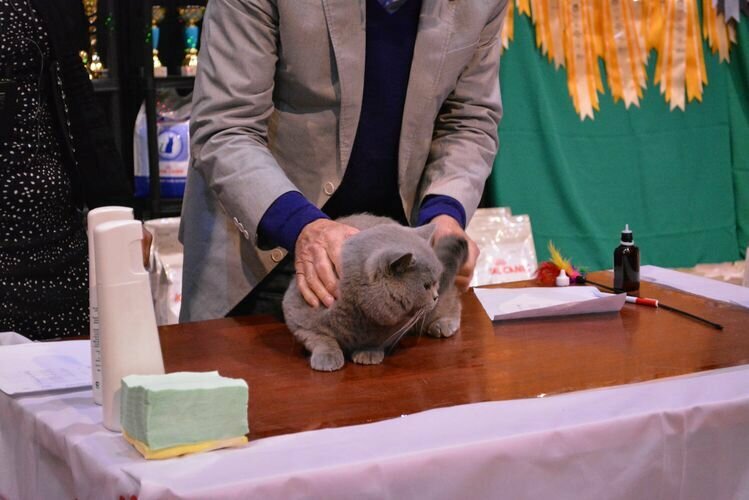 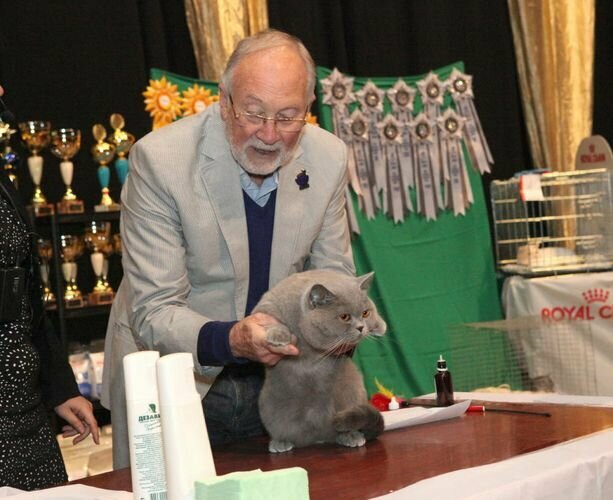 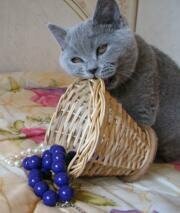 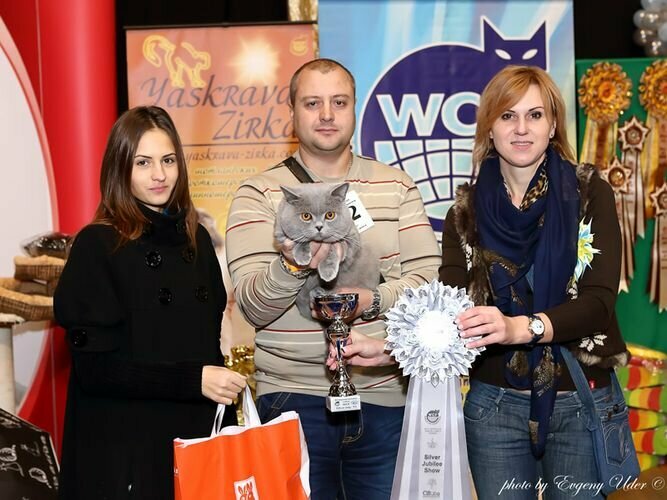 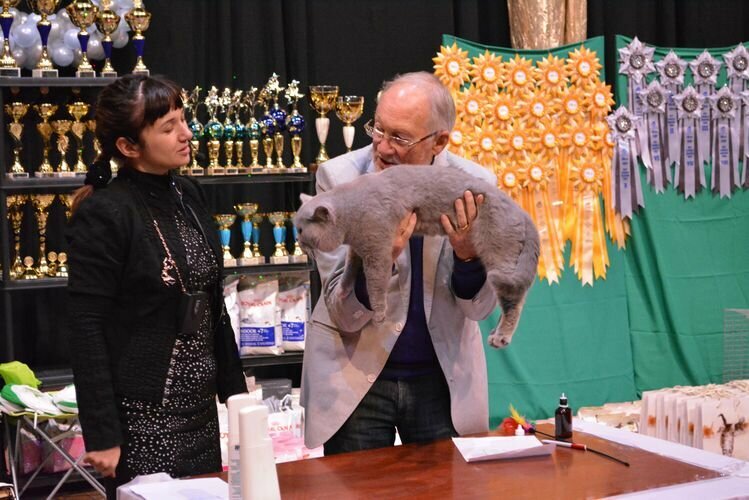 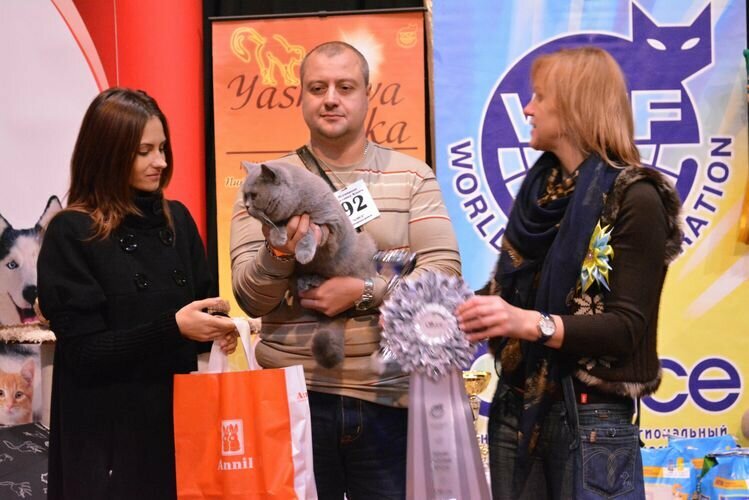 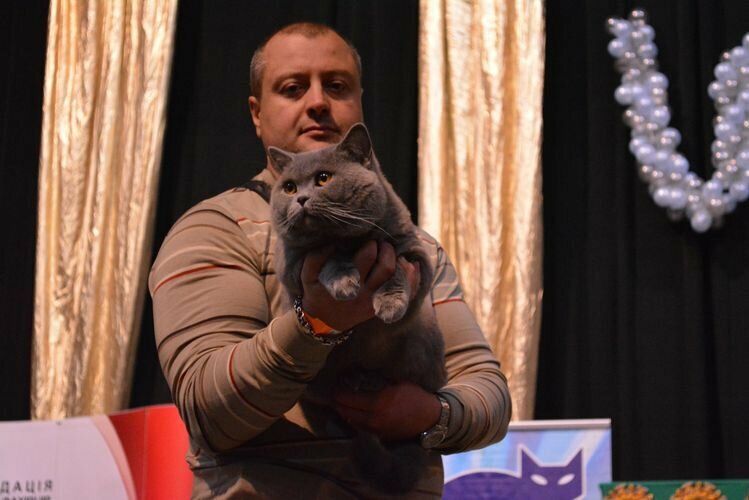 World Cat Show 5-6 October 2013 "WCF SilverJubilee - 25 Years Anniversary", Dnepropetrovsk, Ukraine. Here she is, the last step to the top! 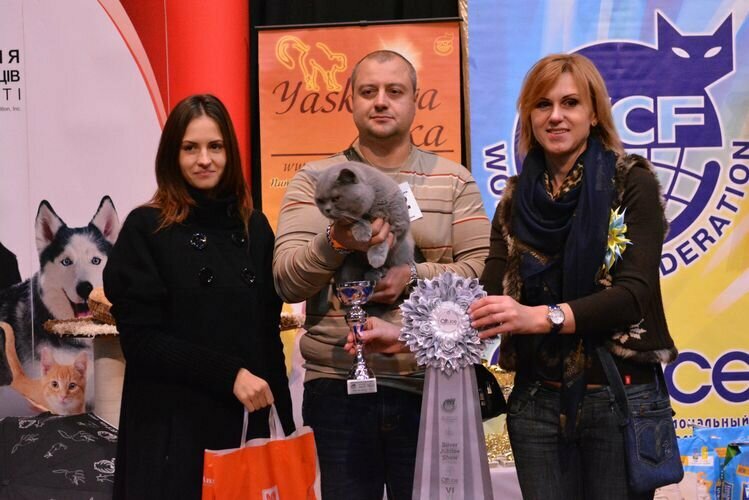 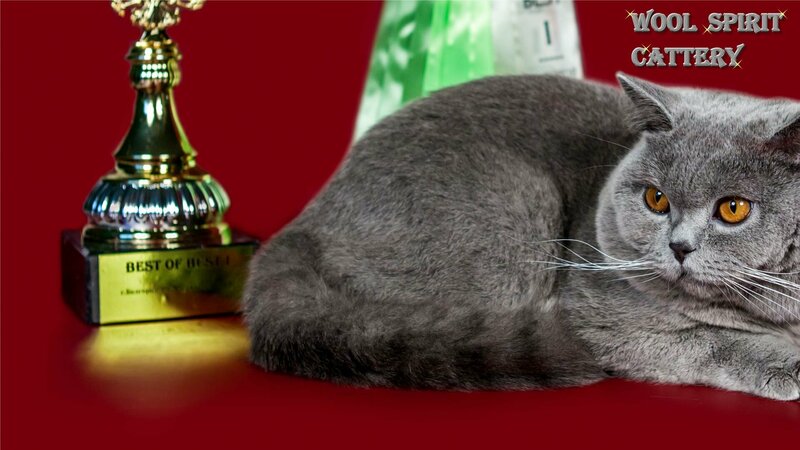 At the World Cat Show our cat Yannick Champion of the World! 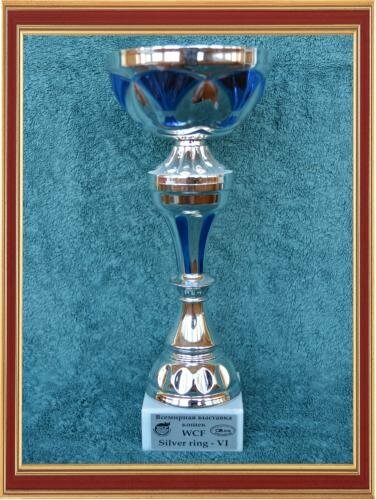 We also participated in two WCF ring, including Silver WCF ring dedicated to the 25th anniversary of the organization of WCF, which won an honorable Yanik 6th place in the fierce competition. 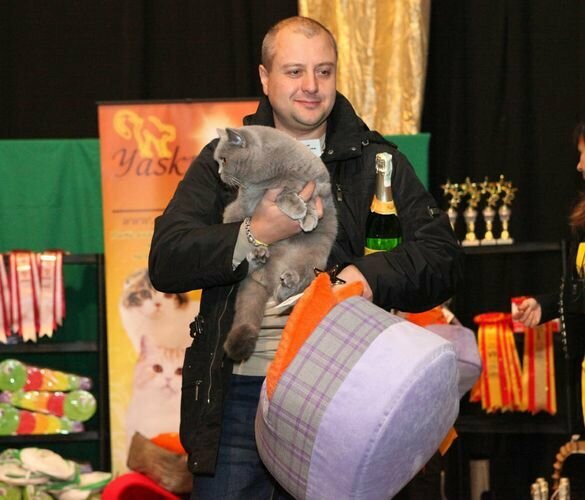 Janik also been twice nominated for Best in Show. 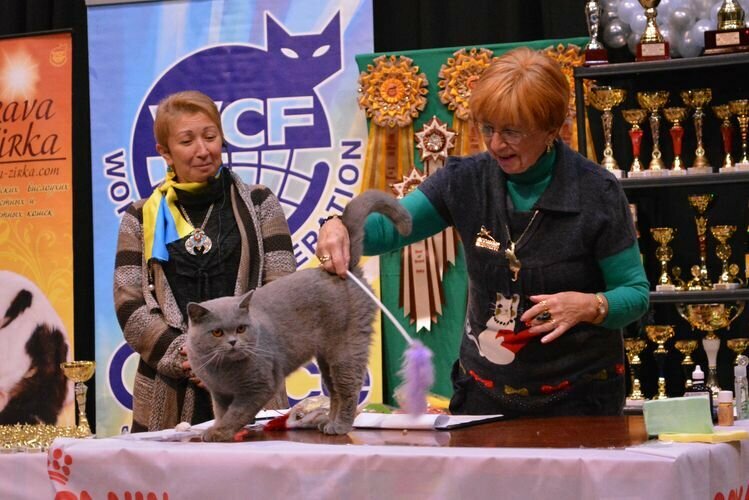 WCF Adult-ring for the first day of the show. WCF ring for the first day of the show held chairman WCF Anneliese Hackmann from Germany. 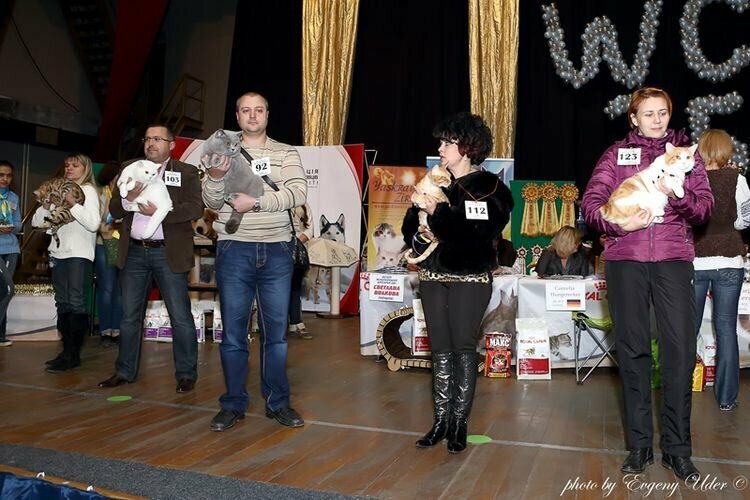 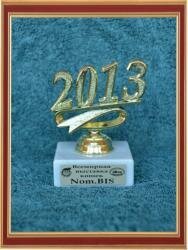 This ring 38 animals competed, we entered the top ten winners and took ninth place. 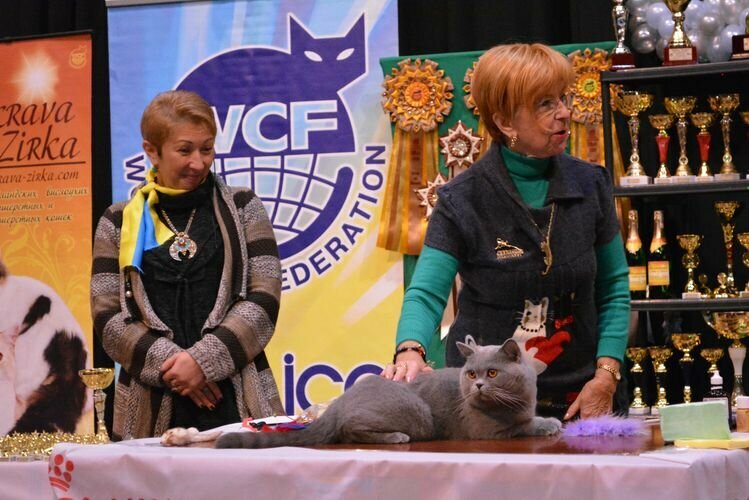 WCF Silver Adult-ring on the second day. 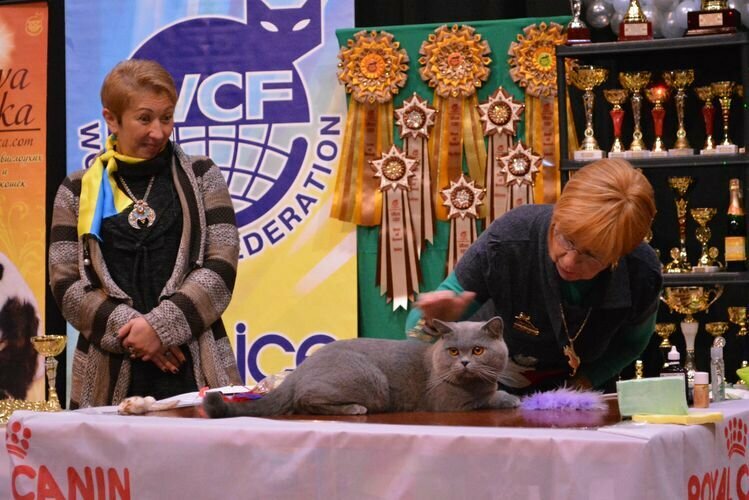 WCF Silver ring on the second day also held chairman WCF Anneliese Hackmann from Germany. 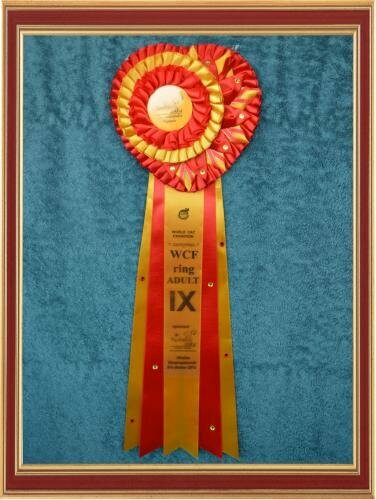 It was an anniversary ring, dedicated to the 25th anniversary of WCF. This ring 27 animals competed, we entered the top ten winners and won an honorable sixth place. 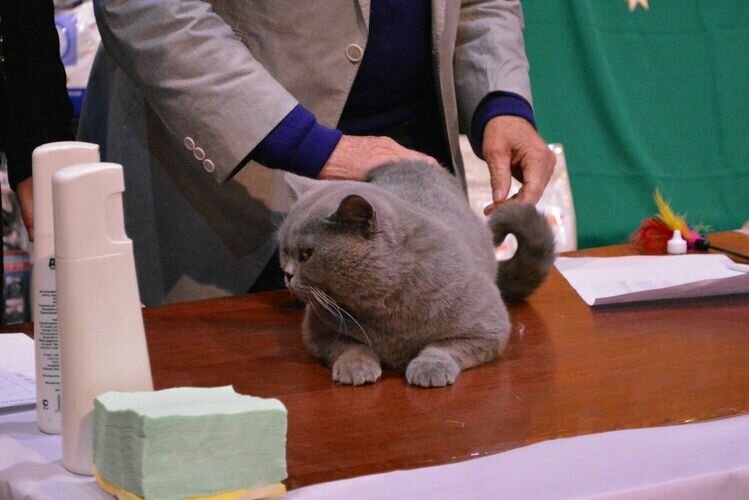 WCF Adult-ring on the second day. 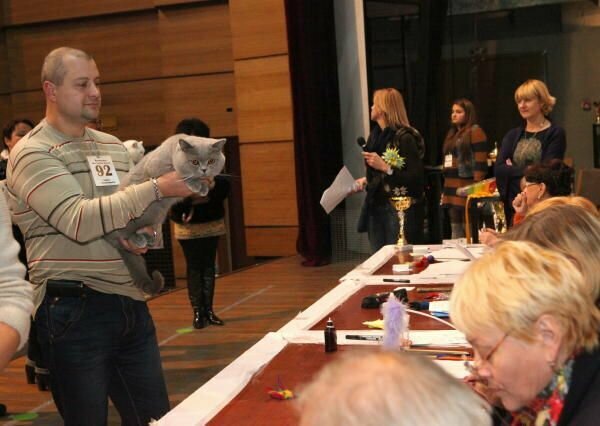 WCF ring on the second day spent judge Klaas van der Wijk of the Netherlands, but this time we were lucky. 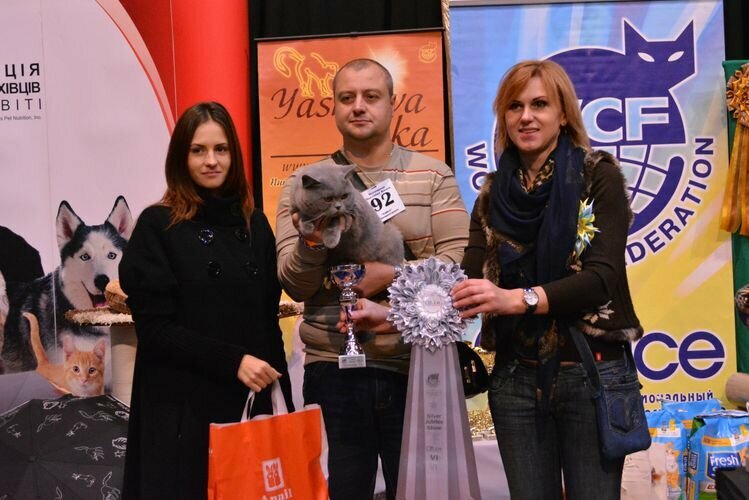 Best in Show in the first and second day of the show, nominated for Best. 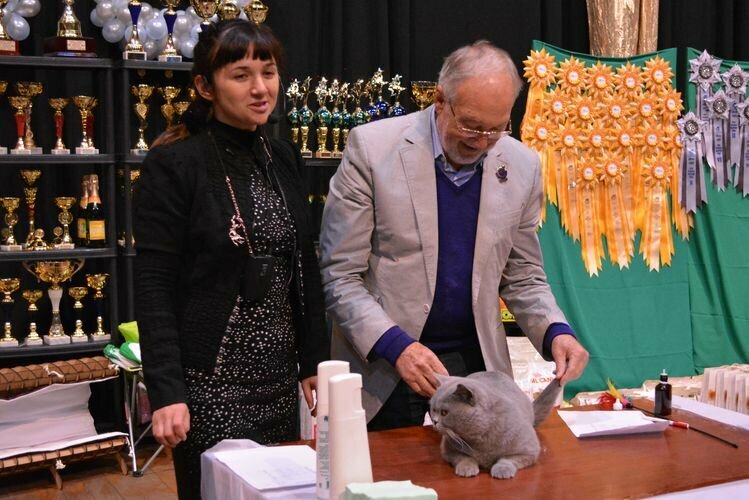 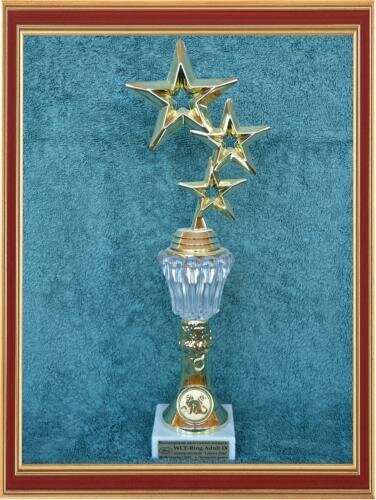 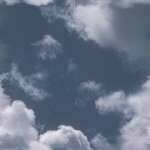 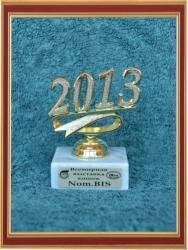 The overall result was the closure of the exhibition title of WORLD CHAMPION!